Arutz Sheva visits international exhibition for agriculture technologies taking place in Tel Aviv. 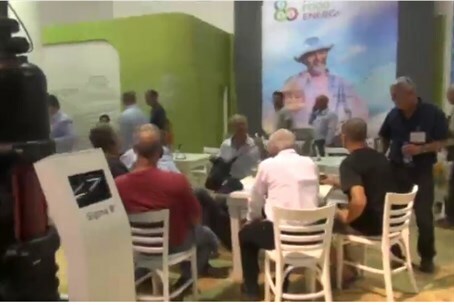 Arutz Sheva visited Agritech 2015, taking place at the Israel Trade Fairs & Convention Center in Tel Aviv. “This is an international exhibition and conference for agriculture technologies, where we showcase solutions for fighting hunger, increasing food production, and decreasing food losses,” explained Prema Zilberman, General Manager at Kenes Exhibitions. “We are still considered leaders in technology, and I think the biggest asset that we’re not just depending on the technologies invented in the past, we are also investing a bit in futuristic technologies,” she added.